PRACTI-Suppositories™ for clinical training. 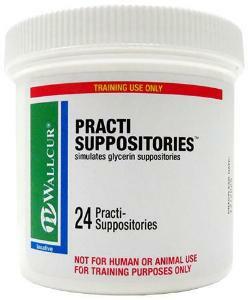 Teach the proper use of a rectal suppository to relieve constipation with Wallcur's New PRACTI-Suppositories. Simulates glycerin suppositories. Buy this helpful instructional aid today!